We researched some farms near Mike’s moms house so that we could go with her and Mike’s niece. 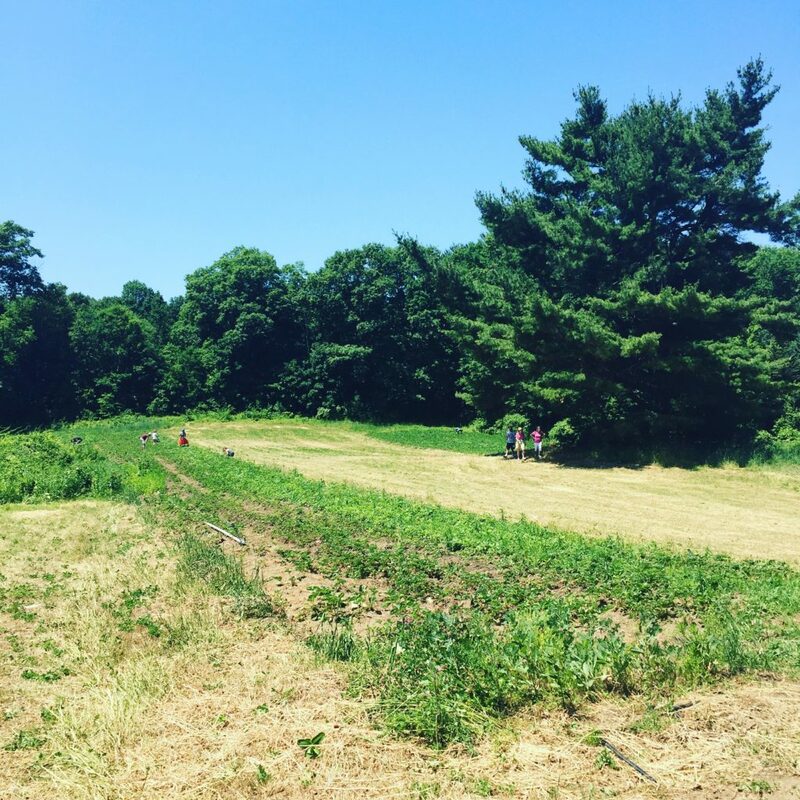 Farms in Massachusetts are limited in terms of growing/picking strawberries, but we ended up going to Parlee Farms in Tyngsboro, MA. We ended up getting to the farm midday, which is not ideal since the majority of fruit can be picked by then and it’s SUPER hot on a day with no cloud coverage. Luckily, there were a good amount of strawberries left for our picking but we needed to do a bit more work since the fat, juicy ones were already gone. We collected four pints of strawberries between the four of us (not bad!). The most rewarding part for me was knowing that I picked the fruit myself, knew exactly where it came from and how it was grown – and supported a local farm in the process. 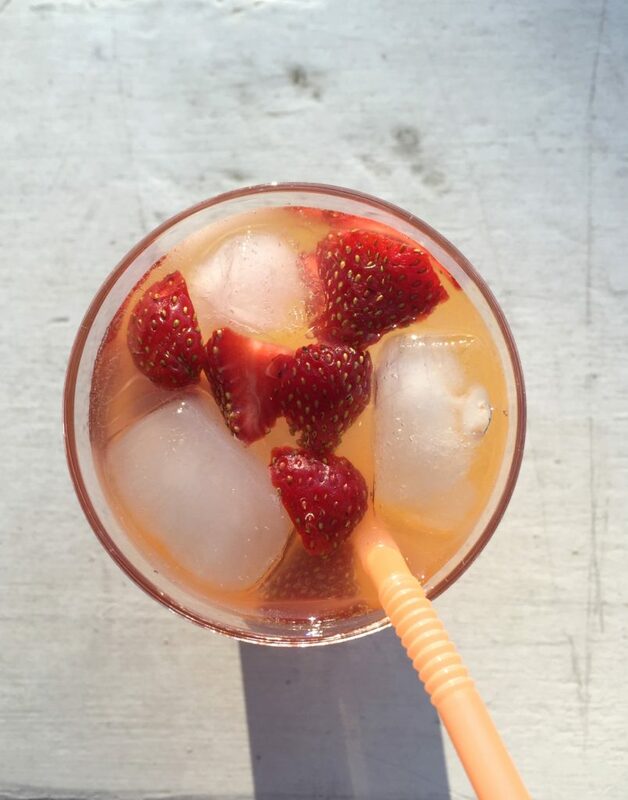 When we got home that night, I decided to make a refreshing drink incorporating the fresh strawberries at my disposal. 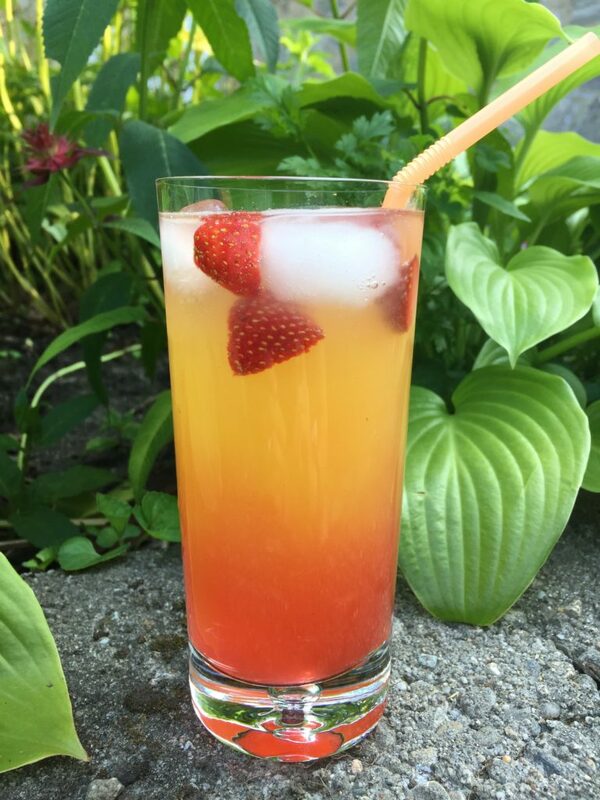 Using a few ingredients from my kitchen, I whipped up a delicious drink I named “Strawberry Sunset”. It’s definitely on the sweeter side as it tastes like a Jolly Rancher, but I love to indulge every so often in a sugary, alcoholic drink. It’s also pretty beautiful, right? Recipe for my concoction below – it’s SO easy and only takes 5 minutes! It’s also tasty without the vodka if you want to cut calories and keep it G rated. Add in grenadine syrup. Do NOT mix or you won't end up with the "sunset" look!